Drivers who leaving their car engine running when at a standstill could be hit with a €130 on-the-spot fine under new rules coming into force in Wallonia on 1 March. The region's government has passed a decree giving police officers greater powers to penalise drivers outside schools, in parking spaces or who have pulled over at the roadside to take a phone call. Article 8.6 of the Highway Code says drivers should "be careful not to leave the engine running in neutral unless necessary" - or risk a €58 fine if caught. But according to Benoît Godart, spokesman for federal road safety institute Vias, the "unless necessary" is widely open to interpretation and the bad habit is rarely punished. A spokesman for Walloon environment minister Carlo Di Antonio confirmed: "This type of offence was not a priority for police officers from a Highway Code point of view." Wallonia's new decree recognises the practice not just as a Highway Code offence - but an environmental offence similar to littering, meaning the higher €130 fine can be imposed. "Leaving the engine running for 60 seconds uses much more fuel than stopping it to start it up again 60 seconds later, and with current fuel prices it's important to know," the Vias spokesman added. 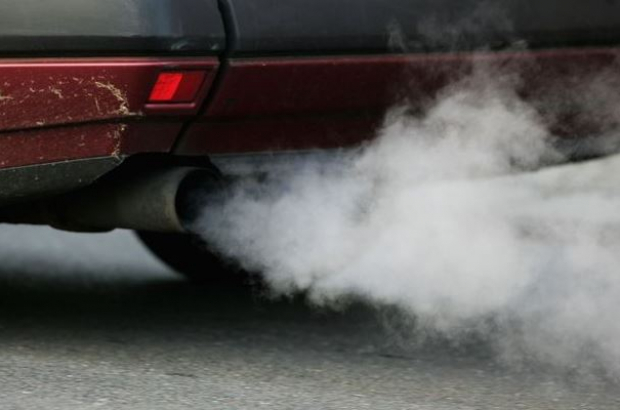 According to research by the Walloon region in 2016, if every car in Belgium had its engine off for five minutes a day - while at red traffic lights for example - CO² emissions would be reduced by 380,000 tonnes a year and drivers would save 164 million litres of fuel. The newly passed decree, which comes into effect on 1 March, says a vehicle's engine must be shut down when it is no longer in traffic and a manoeuvre has been completed. Keeping your engine running at a red light will not attract a fine - but doing so while pulled up at the roadside waiting to pick up a passenger would. Getting a car warmed up on a frosty morning is also fine. "It's clear that in the case of freezing temperatures like today, if you need to de-ice your car windshield, you won't be fined," the Vias spokesman added.